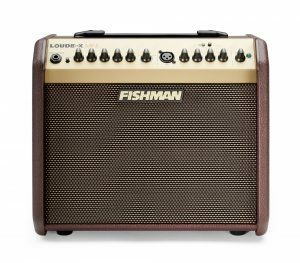 Fishman acoustic amplifiers and PA systems than any other. of vocal or recorded accompaniments. The Loudbox Mini Charge is a Loudbox Mini that runs on a rechargeable battery, combined with unique power management circuitry specifically designed to maximize output levels and playing time. and more into a small, portable package. incredibly lightweight and portable package.